Tasting and smelling like acorns, a major portion of a deer&#39;s normal fall diet. Deer love these hardened mineral based blocks that are made extra sweet with molasses added to the acorn taste. Treat your bucks with the apple taste they love, while delivering to them the nutrients they need. Wildlife require special minerals and when blended with natural apple flavor, they will consume as much as they can store. Put this block out and watch it disappear. Deer love these apple blocks and will lick them till they're gone. Evolved Habitats Stump Likker Liquid Minerals 1Gal. Deers love molasses, crave minerals, and enjoy gnawing stumps. Sweet corn is the candy grain crop that deer, moose and elk love. We have formulated a sweet corn flavored mineral block sweetened with molasses that will satisfy their craving for sweet corn while providing a mineral supplement that all wildlife need. Kraze Contains \"Devour\", a scientifically developed and tasted scent and flavor enhancer that drives deer wild! Kraze satisfies a deer's inherent craving for specific types of sugars. Wild persimmons are the favorite fruit of deer, providing a food source after many other natural sources have dried up during the fall months. 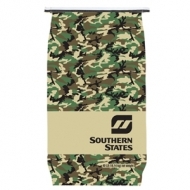 Southern States Wildlife Corn (w/Molasses) is designed for wildlife, turkeys and deer. It is a highly palatable mix of corn coated with molasses.